Come chat about Diaper Bags, Accessories and have the best fun making wonderful friends! And what's better? Win FREE stuff! I just had to write a review about the Ju Ju Be BeRightBack because I love it so much. I bought one in early 2009 as my first “proper” JJB purchase (after a couple of accessories). Before this I was using a Mamas and Papas bag that matched our pushchair but it just didn’t work for us as cloth nappy users, it was far too small. A couple of mums on a baby website recommended JJB. So my Perky Perennials BRB arrived and changed everything! The obsession began; I joined the Pink Room forum and never looked back. Stupidly I swapped the BRB for another JJB (and others in between – Packabe, Between, MiniBe…) and it has taken till a couple of months ago for me to get another, in Sienna Swirls with champagne lining *yum*, and I wish I’d had it all along. My son is now 17 months old. He goes to nursery all day on 3 days a week so I have to pack 4 cloth nappies and a wet bag, 1 disposable nappy, spare clothes (in a JJB wardrobe station), coat, nappy cream, suntan lotion and hat. 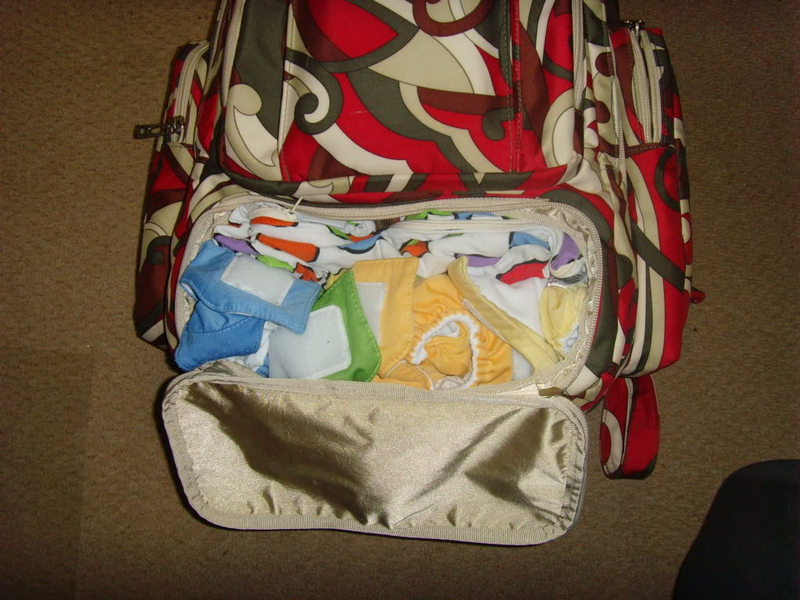 I love the bottom pocket of the bag because it fits the cloth nappies and wet bag, leaving the main pocket for everything else. 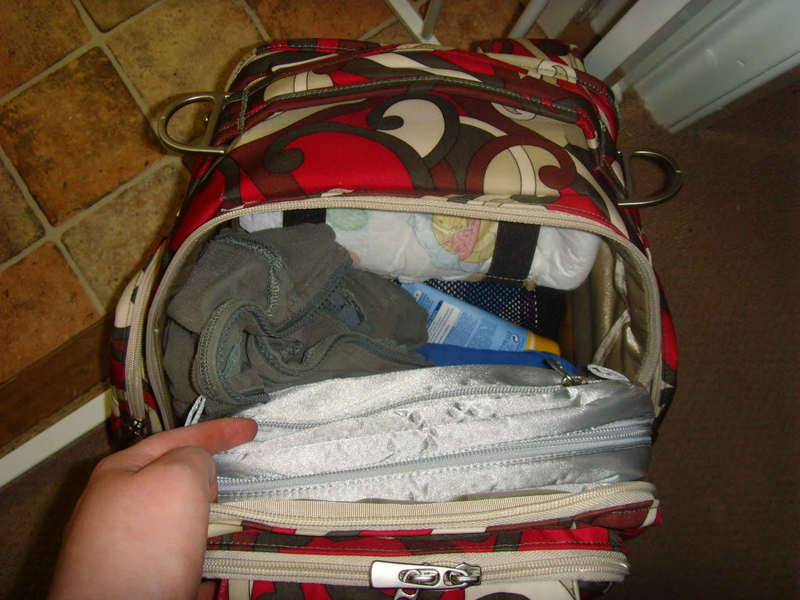 I also use this bag for days out and can fit food, sippy cups, the odd toy, reins and more in! The mega mess shuttle is great for wet/soiled clothes. The backpack straps are so comfortable and I love how the change pad sits behind, adding more padding to your back. The fact that it has a grab handle on top makes it the best JJB, it’s just so much easier to use. I like that it’s from the “Premier” JJB line so it has the metal feet – I can put it down outside without worrying about getting it dirty. No need to baby these bags, they stay looking good anyway, but it's always good for the resale value! My husband doesn’t quite understand the JJB obsession but he does tolerate it, and he does understand that this bag is great for us! 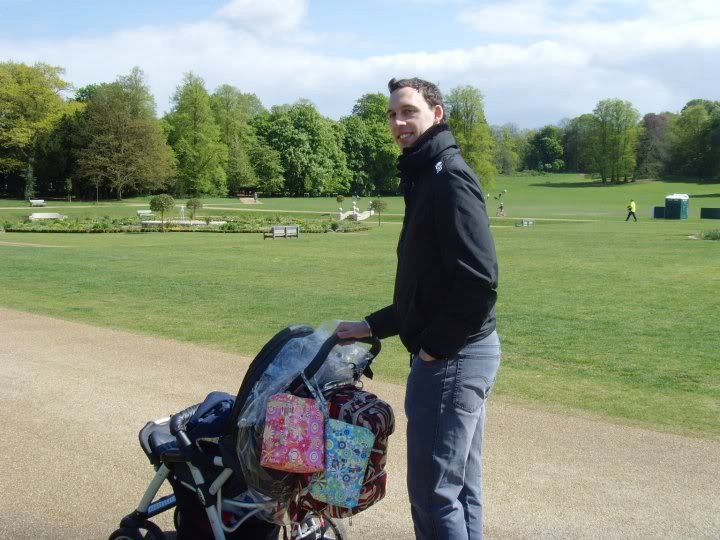 Here he is being a good sport with the BRB on the pushchair, and the Zany Zinnias fuel cell and Dizzy Daisies Be Quick! I can honestly recommend any of the JJB bags for their smart features and beautiful prints, but the BeRightBack is by far my favourite. Just buy one, but if you join the Pink Room watch your wallet! CONTESTS, EXCLUSIVES and COUPONS OH MY! Check out the contests page on the forum! Awesome review! Someday I hope to try the BRB Love all the great pics...thanks! 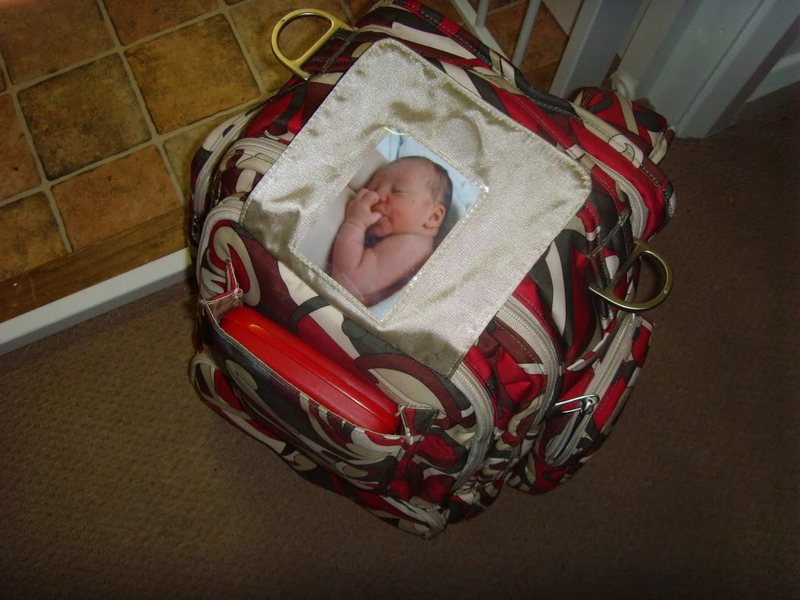 Little Dudes and Divas :: Diaper Bag Addicts! :: IRL Photos and Bag Reviews! 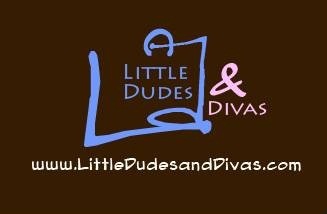 Jump to: Select a forum||--Little Dudes and Divas Information|--Got a Question? !|--LD&D Room - EVERYTHING ELSE!| |--Newbies Welcome!| |--Little Dudes and Divas News!| |--Anything and Everything!| |--Member DEALS, IDEAS, AND EVERYTHING ELSE!| |--RECALLS| |--Member Recipe's| |--Baby Names| |--Kid's Book Suggestions| |--Favorite LDD Item!| |--LDD's Biggest Loser!| |--Katy's Team!| |--Al's Team!| |--Maya's Team!| |--Diaper Bag Addicts!| |--Diaper Bag Chat!| | |--All Ju Ju Be All the Time| | | |--Yup... All Mine! Your STASHES!| |--IRL Photos and Bag Reviews!| |--Want My Diaper Bag? FOR SALE!| |--Wanted! I'm Looking For....| |--Giveaways! Contests! Exclusives! Oh My! |--Contests |--Exclusives! |--Coupons!